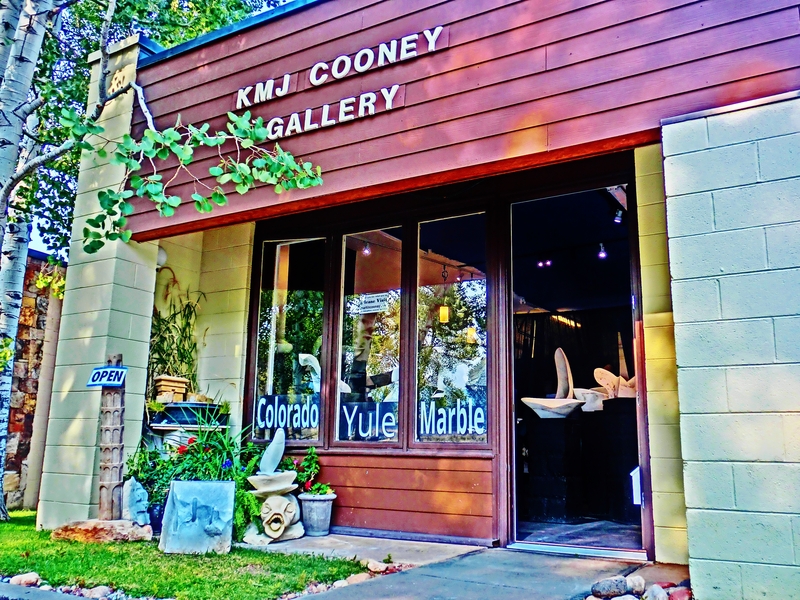 Colorado Yule Marble may be found only in the Yule Creek Valley, three miles southeast of the secluded Rocky Mountain town of Marble, Colorado, 9,300 feet above sea level. It was discovered in the spring of 1873 by geologist Sylvester Richardson. In the same year, an unknown person selected several samples of marble and took them to Denver, but for whatever reason failed to generate much in the way of genuine (moneyed) interest. The marble duly became lost again, only to be rediscovered under obscure circumstances 10 years later by George Yule. Yule was formed as a result of contact metamorphism. Prior to Yule’s discovery, all commercial American marble deposits were formed via mountain range erosion on a purely regional scale, called Regional Metamorphosis, with the heat generated as oceanic and continental tectonic plates grind over and under one another. Meaning that the transformation from limestone to marble, or metamorphosis, was attained by limestone being ‘baked’ and crushed via the friction created at relatively sedate temperatures when compared to marbles such as Yule that were forged via direct contact with magma, or Contact Metamorphosis. And so, with average magma temperatures ranging from 1,300F to 2,900 Fahrenheit, it was these almost unimaginable conditions that were responsible for Yule’s superb quality, stunning beauty, and growing popularity. By contrast to Yule, both Vermont and Georgia marble are the result of Regional Metamorphism. And what is known as Tennessee marble is not technically a marble, as it did not ‘metamorphose’ from limestone at all. Whereas such was the incredible heat and pressure exerted by the molten-hot layer of magma upon the sliver of Leadville limestone we now call Yule marble, that the intrusions of hot granitic magma recrystallized it into the prized and valued ‘pure’ white marble it is today; 99.5 percent pure calcite in fact. 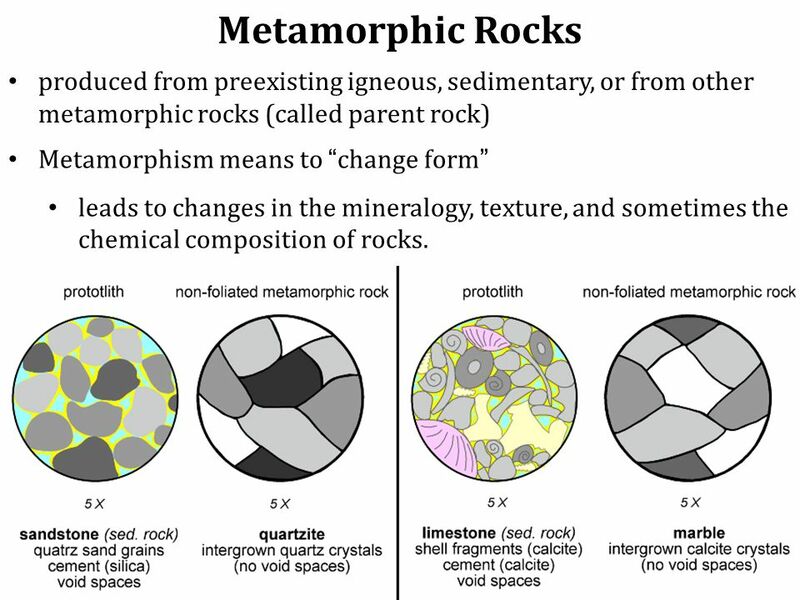 Metamorphism means to change form leads to changes in the mineralogy, texture, and sometimes the chemical composition of rocks. Not only is the purity of Yule quite renowned, but the dramatic nature of its trace amounts of non-calcite intrusions carry with them hints and hues of blue and green, orange, yellows galore that serve as mysterious highlights to Yule’s swirling clouds of bluey gray streaks. and Pyrite, with its metallic pale brass-yellow hue, often appearing as bone fide chunks of fool’s gold. Greens, blues and the odd yellow tints are often glimpsed courtesy of numerous other minor inclusions such as: Shene, Apatite, Rutile, Zircon, Sphalerite, Iron, and Manganese, which plays a crucial role in fashioning Yule marble’s famous, and incredibly rare, ‘gold’ veining. The five grades of marble currently offered by the Yule Marble Quarry are named: Calacatta Lincoln, Calacatta Gold Extra, Calacatta Golden Classic, Statuario Colorado, and Aspen Grey. 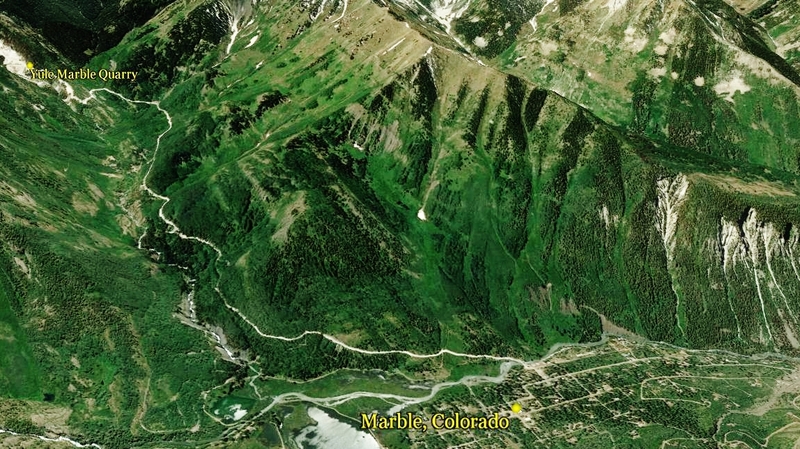 As Colorado Yule Marble may only be found in the Yule Creek Valley, 9,300 feet above sea level, circumstances conspired to ensure that it was miners, not quarrymen, who first recognized its commercial potential. At the time of its discovery in 1873 the entire region was gripped in a silver rush that had early pioneering prospectors and geologists alike scrambling across the land eagerly mapping out their path to riches and glory. The miners came from every low to mid station in life, and from all corners of the country, and indeed the world. And while some, a few, of these tough and grizzled men perhaps imagined mining as a lifetime occupation, the vast, overwhelming majority of them were there for one thing, and one thing only – to strike it rich. Rich beyond their wildest dreams. For of all the gold, silver and precious metals mined since humans first began scratching at the ground for ore, never has the fruit of their labor been turned back, at least in part, to those who did all of the digging and the dying. The Great American Silver and Gold Rushes proved so popular in fact, and sparked so much vigorous participation from men of all backgrounds, that the mere chance of attaining untold wealth propelled hoards of them to scour the land, from valley to valley and pass to pass, in search of their dream of striking it rich. Perhaps not surprisingly it would be from the ranks of these work-hardened, grizzled men that the very first pioneering marble quarriers were assembled. Many began to purchase small claims with the hope of extracting marble via small, independent operations, but with little experience, and no real connections to the market, they stood little chance of even recouping their overheads, let alone capitalizing upon their investments. Gradually claims began to change hands as people came and went, and gradually sufficient capital was raised in order to at least make the quarrying of marble a going, and at times thriving concern. By this time however the marble claims lay firmly in the hands of wealthy investors and the former miners settled down to a lifetime of quarrying, or so they perhaps thought. 1884 The local miners, turned marble quarriers, could never garner sufficient capital to develop their marble quarries, and from 1884 to 1905 a string of quarries came and went… bust, mainly, during which time many began selling their treasured claims. However, as we are to see, many were those who it seems were destined to lose, and lose big, as the crippling cost of quarrying ate up and devoured the profitability of even the smartest, most connected, most expert, and well managed Yule marble quarrying operation. But worst of all perhaps; what profits the staggering production costs didn’t devour, warfare of unparalleled scale, was to ultimately kill off. For those involved, the situation must have been excruciatingly frustrating in the extreme. Founder of the Colorado Fuel & Iron Company, with influence stretching far and wide across the American west, John Cleveland Osgood learned the coal business from the bottom rung. Born in Brooklyn, New York in 1851, he found himself orphaned by age 14. Nevertheless he pushed himself to achieve greatness from the off. ‘Undisputed Fuel King of the West’ they called him. By attending night classes at the Peter Cooper Institute in New York, he was subsequently able to take a position with the Union Mining Company of Iowa. And in no time at all, the young firebrand has not only risen through the city’s banking industry like a star – but had quietly and confidently gained himself control of the White Breast Mining Company. He now supplied however much coal he could get his hand on to the coal hungry Chicago, Burlington & Quincy Railroad. John C. Osgood was 30 years old when he set out west to hunt for more coal deposits. Legend has it that he personally inspected every coal mine in Colorado, but by 1892 he had purchased a quite astonishing 5,622 acres of coal land, and it was at this point that he found himself bitten by the Colorado Yule Marble bug. 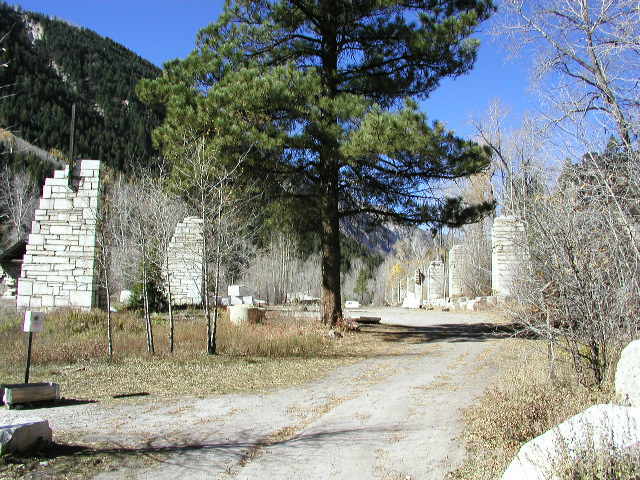 For as he marshaled his holdings in and around the Crystal River Valley he gradually began to take an interest in the activities of the quarry, which was just up the road from his coke ovens, three miles up a dirt road from the remote Rocky Mountain town of Marble, Colorado. After merging his Colorado Fuel Company with the Colorado Coal & Iron Company, he formed the Colorado Fuel and Iron Company, with himself as president, naturally. Now, with over 800 coke ovens, 14 commercial mining and milling operations, and 15,000 strong workforce, John C Osgood found himself to be the largest employer in the state of Colorado, with an empire stretching into Wyoming and New Mexico. 1892 John C. Osgood forms the Crystal Land and Development Company, flinging himself into the task of quarrying that same year by means of an open-pit on the west side of Yule Creek. He also found time to preside over the huge coal and coke operations in nearby Redstone in his role as Colorado Fuel and Iron president. 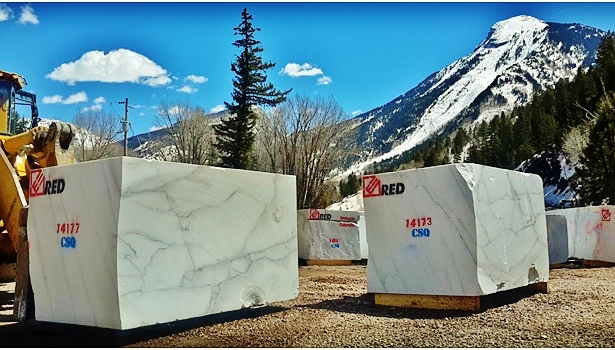 By the late 1890s he had formed the Yule Creek White Marble Company, and by 1905 the energetic Mr. Osborn had reorganized the company as Redstone Marble. The doors were to close for ever on September 5, 1917, as the madness of World War One knocked the skids under whatever plans he had in mind for the business. 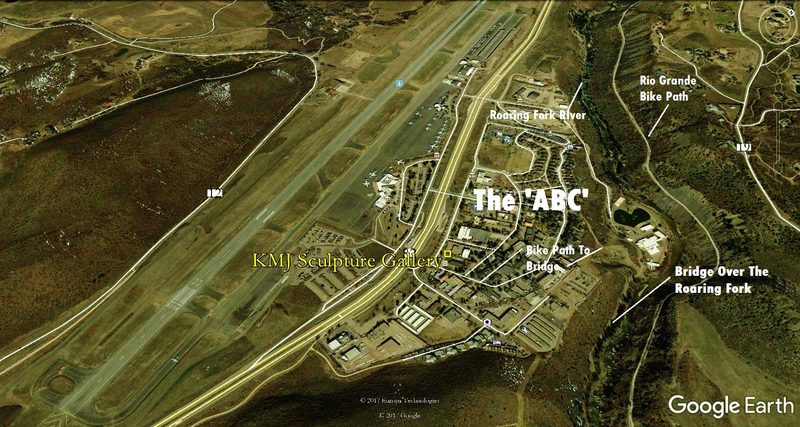 1893 Dr. R.H. Kline formed the Marble City Quarrying Company on September 29. By February 28, 1905 it had sold to Channing Meek, was out of business and ‘dissolved’. 1895 Despite a growing interest in Yule Marble generated by glowing test results newly arrived from London, not to mention the extraordinary commercial opportunities afforded by both the 1890 St Louis Exposition, and the Chicago Exposition of 1893, the struggle for profitability, weighted down by huge start up costs, enormous running costs, along with the staggering realities of quarrying marble at 9,300 feet – a thousand miles from nowhere – those involved continued to struggle. 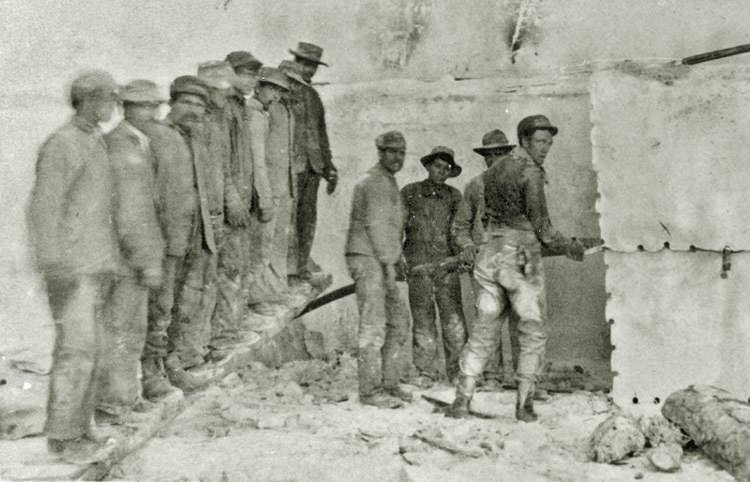 1895 Occasionally a juicy, high profile and profitable project would come along, such as that of John Osgood obtaining a major contract to supply 140,000 cubic feet of marble for the new state capitol in Denver, Colorado. However, after this initial success neither Osgood nor his competitors were able to find sufficiently profitable new markets, and all Yule marble quarries continuously struggled to make ends meet. 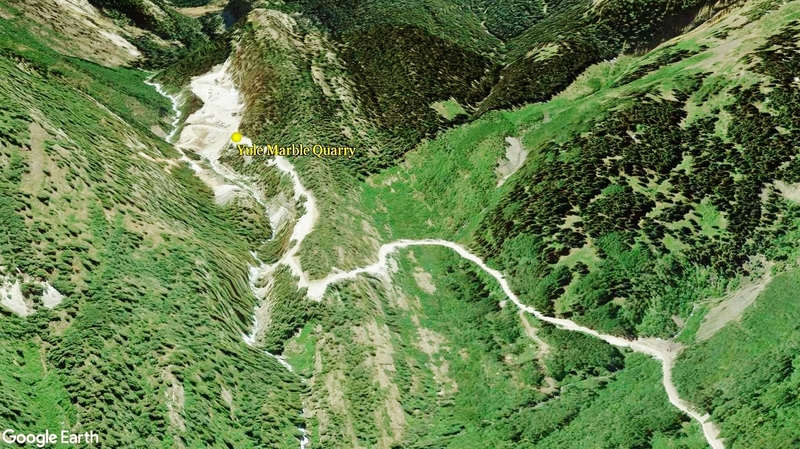 The Osgood operation was well financed, but even he was afflicted by the problems associated with developing and operating a marble quarry deep within the daunting terrain of the Yule Creek Valley. Also the lack of transportation severely added to the difficulties. Taken together, these factors resulted in unsustainable operating costs that simply could not be covered by marble revenue. The problem lay in the inescapable fact that the same dramatic geological forces that created such magnificent marble also created the host of costly and complex problems involved in the quarrying of the stone. Quarrying in this high altitude environment, with steep slopes, deep snow, and snow-mud slides, is so expensive that advances in technology were seldom able to overcome the challenges. These factors limited the periods of operation and governed the amount of marble that could be brought down from the quarry. 1904, April 12. 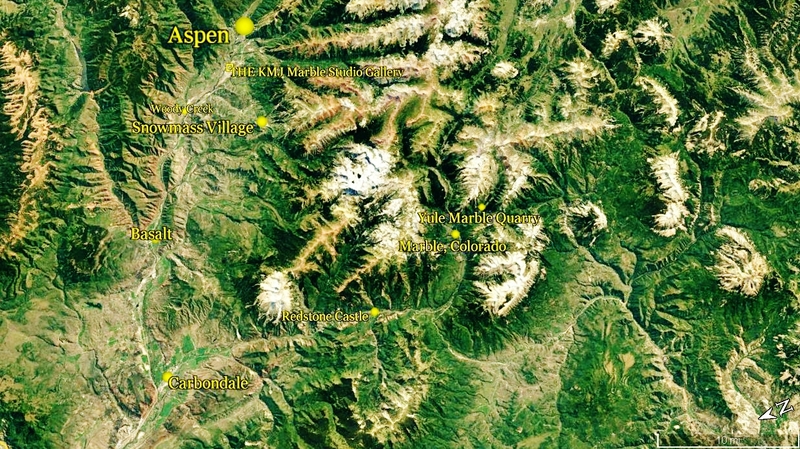 The Strauss brothers launch the Crystal River Marble Company in order to quarry Treasure Mountain on the east side of Yule Creek. 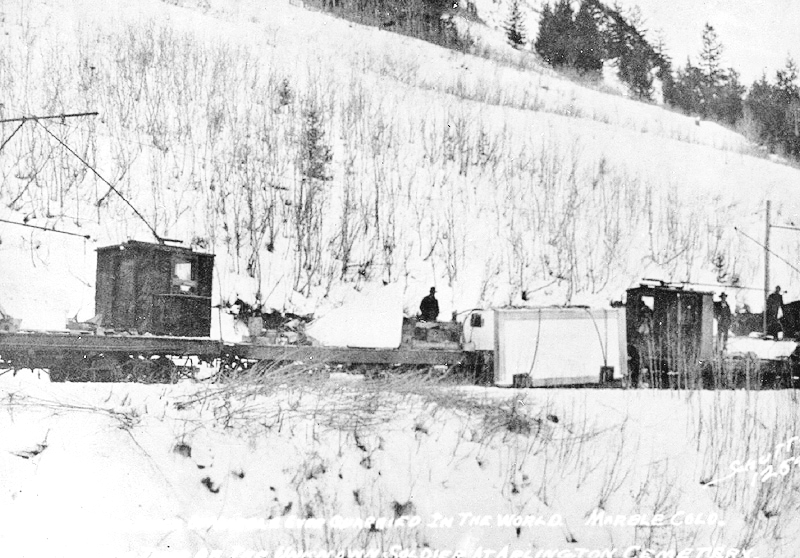 These industrial lads also completed their Treasury Mountain Railroad in August of 1910. Sadly their remarkable efforts were ultimately futile, as little in the way of commercial grade marble was actually quarried, they found themselves with no major contracts whatever, and by 1917 were unceremoniously declared bankrupt. 1904 John C. Osgood finds himself pressed for cash. Over stretched, over extended, and I’m sure slightly bemused by the staggering costs of quarrying marble destined for markets across the country; complications concerning his coal empire; and the little matter of his deciding to build his dream castle, Cleveholm, now known as Redstone Castle, he was beginning to find himself, for the first time in his young life, in a financial bind. ‘Stretched’ he was. Way over stretched in fact. Turning to two of his closest companions and business associates, he proposes that they help him financially with a little friendly loan. John D. Rockefeller and Jay Gould however had another solution in mind however, and promptly offered him a job. THAT however was NEVER going to happen, not to the great John C. Osgood, King of Coal, who promptly informed them that in no way would he work for anyone else. And with that walked out of the door, and away from a vast financial empire, one that he himself had painstakingly put together piece by piece, year after year. Gone. Cleveholm, Now Redstone Castle, along the Crystal River Valley, Colorado. He did however hold full control of Victor American Fuel, a very very successful and profitable company with holdings across Colorado, and so he was never – what you might say – tight for money. No, indeed quite the opposite. John C Osgood, the orphan from Brooklyn, New York, in 1851, was to enjoy a long and I am sure happy life. At 75 years of age he passed away on January 4, 1926, at his beloved castle of a home in the Rockies. 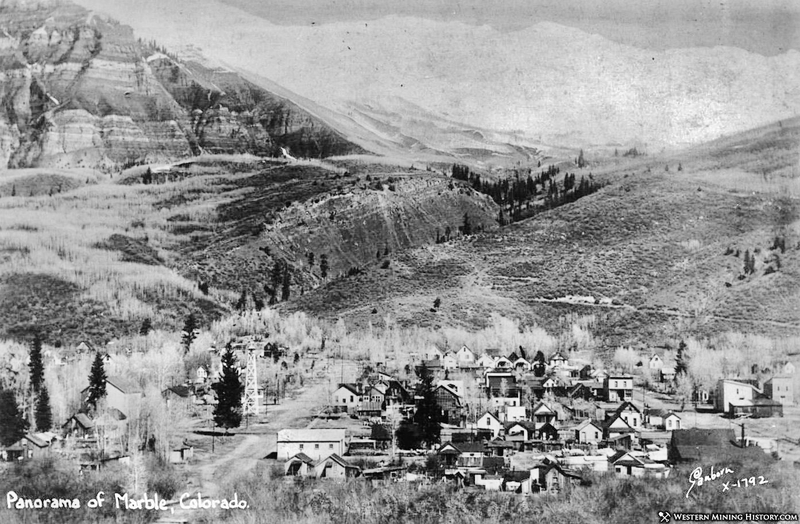 1905 With a cash investment rumored to be around three million dollars, Channing Meek is able to purchase the entire marble deposits of the Marble City Quarry Company on February 28, only to turn around and sell it on to the Colorado Yule Marble Company on April 11th of the same year, after which he made himself Colorado Yule Marble Company president. At long last it seemed that the promise induced by twenty years of quarrying Yule marble, for a time at least, was about to be realized, and so for a time it was. Coinciding as it did with a growing nationwide interest in marble the Colorado Yule Marble Company’s arrival upon the scene was to signal a boom that was to deliver upon high profile contracts combining over one million dollars. 1905 The Colorado Yule Marble Company President Channing F. Meek reforms the quarry with an incredibly well organized and ambitious plan that was to become known as the ‘Integrated Operation’. With visionary foresight the idea was to integrate all aspects of the quarry, transport, sorting, cutting and shipping under the governance of a single system. Once fully implemented the Integrated Operation, took the marble out of the quarry via truly massive 50 ton hoists, and placed them delicately upon a four mile standard gauge electric railway. From there they wound their way down a precarious descent of 1,300 feet, with grades in places of up to 54 percent. 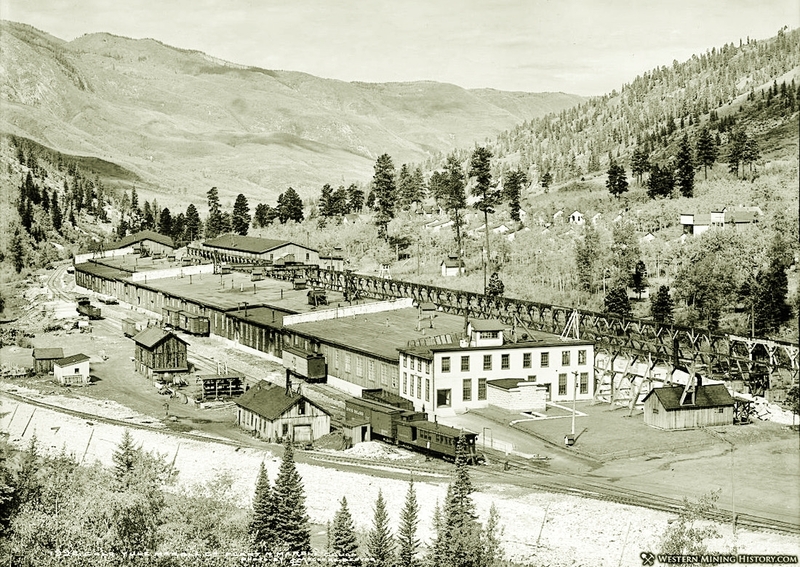 1907 The Colorado Yule Marble Company completes the construction of a hydro-electric plant on a plot of land just east of the town of Marble. Once the marble arrived in the town of Marble its contents were loaded into the largest mill of its kind in the entire world! One thousand four hundred feet long it was, and 150 feet wide. The finished marble was then taken to the massive loading yard, where it was loaded onto the rail cars of the company’s Crystal River & San Juan Railway. From there it would make its way along the aptly named Crystal River, 28 miles to Carbondale, from where either the Rio Grande or the Midland railway companies would whisk the marble block to any and all parts of the country. 1907 The first major contract undertaken by Osgood’s Integrated Operation was to supply $500,000 worth of marble for the Cuyahoga County Court House in Cleveland, Ohio. 1908 To alleviate the housing shortage caused by hiring more workers for the large Cuyahoga County Court House project, the Colorado Yule Marble Company constructs a settlement of shack and bunkhouses known as Quarry Town, in the proximity to Quarry 1. Although originally intended for men, the 1910 census reveals 9 women and 13 children among the 66 current residents. During the winter months the people of Quarry Town could be seen skiing down to the road three miles to the town of Marble. Later they would return by taking a tow from the locally powered hydro-electric tram as it made its way back up to the quarry. 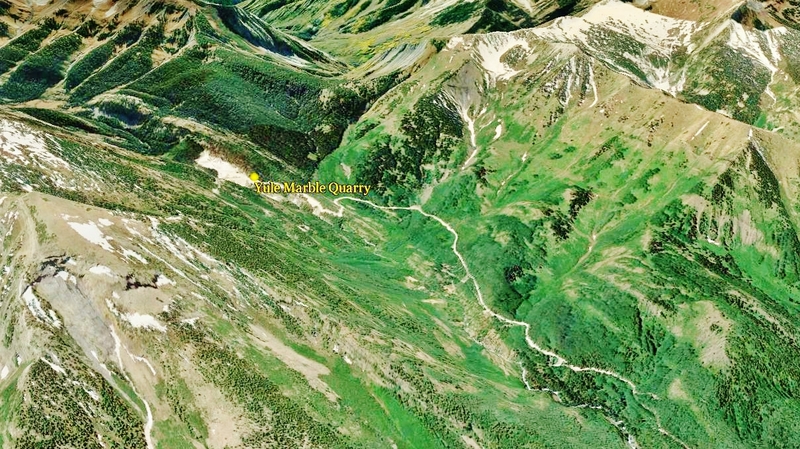 Which surely qualifies the Colorado Yule Marble quarry road as Colorado’s very first ski lift. 1908 Marble runs dry – not of water, but worse than that! With heavy backing from the company, Voters duly brought in alcohol prohibition. Instantly, the bootleggers were busy at work. Interestingly however was the fact that, while prohibition left workers travelling 12 miles down the road to Redstone to whet their whistle on their favorite tipple, the law only forbade the purchase of moonshine, not the consumption. 1909 Daily wages of $5 to $8 per day, with no overtime, provoke a strike lasting 3 months. From August 4, to November 2, struck for an 8-hour day, and time-and-a-half for overtime. By September only 20 men were still on the books. With heavy support from the public, and another brutal winter on the way, the Colorado Yule Marble Company began accepting employees back the moment the strike was called off, and within a week the quarry was back in business. 1910 The government census records 57 men worked at the unified quarry, of which 4 were Italian born, 2 were German, 1 was Austrian, and 50 were American. The marble mill employed 291 people, of which 110 were American, with the majority, 120, born in Italy. Meanwhile across the valley, the town of Marble registered 481 residents, 326 of whom (66%), were working in the marble industry. 1910 A giant 50 ton hoist is built in order to lower huge single blocks of marble 225 feet down to a new loading station. Here they were loaded onto a flatcar pulled by an electric tram designed specifically for the purpose by General Electric. 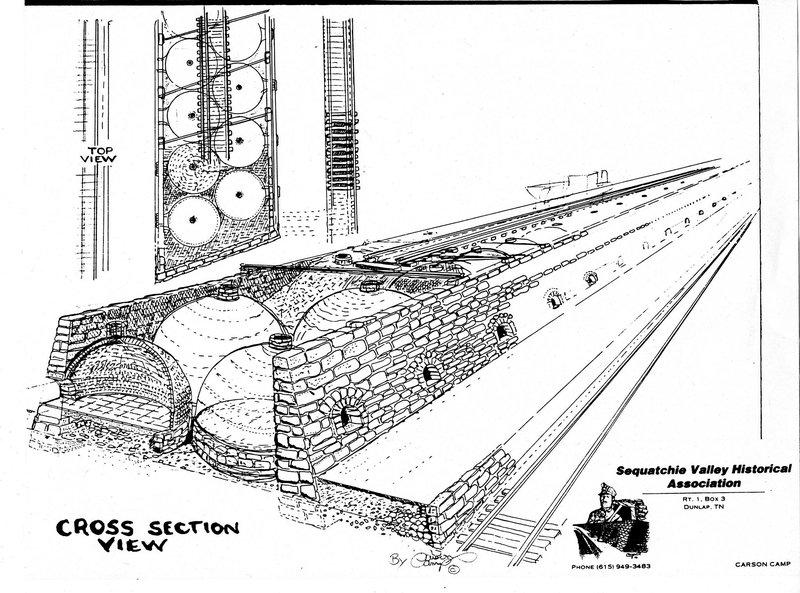 Electricity for the three mile standard gauge track was derived from the CYMC built hydro-electric plant. 1911 Marble saws are used to cut at a rate of around 2 inches an hour. In 2018 a modern wire or chain saw is able to cut more than 50 inches per hour, or twenty-five times faster. 1912 All is thrown into disarray when the Channing F. Meek is killed after being struck by, and/or leaping to avoid, a runaway load of marble – which sounds a bit odd. It would seem careless in the extreme for these otherwise thorough and professional marble quarriers to be so sloppy as to let events transpire so as they lead to the needless death of their boss. By many, if not all accounts, the tragic loss of Channing F. Meek also spelled the beginning of the end for Yule Marble. The man who had stepped up to the plate in order to fill the shoes of the mighty John C. Osgood, and who had seemed for a moment to be the perfect man for the job, was also perhaps the only personality who could match his drive, motivation, ambition, connections. But alas the human whirlwind that was Channing F. Meek was dead, and regardless of the many valid achievements attained by Colorado Yule Marble, so it was that from this point in 1922, the quarry, the mill, the town, the railroads, the whole massive Yule marble infrastructure, was to gradually dissolve into a slow and apparently unstoppable decline. 1912, through 1914. 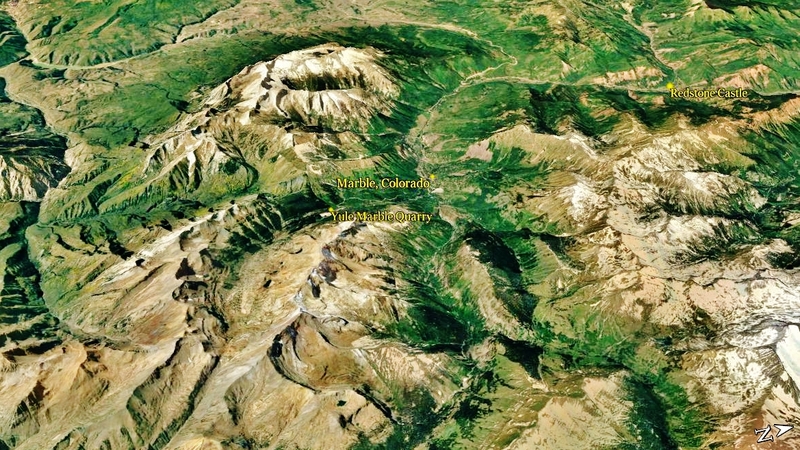 The Town of Marble, Colorado, hits its peak population of 1,500 residents. During these years the booming town could boast a movie theater, three hotels, 9 stables, 5 ice houses, and an ice cream parlor. 1914 A series of tunnels connects the three working caverns, and as they continued to work each one, eventually they wore down the walls and joined into one vast hall. 1914 to June 1916. 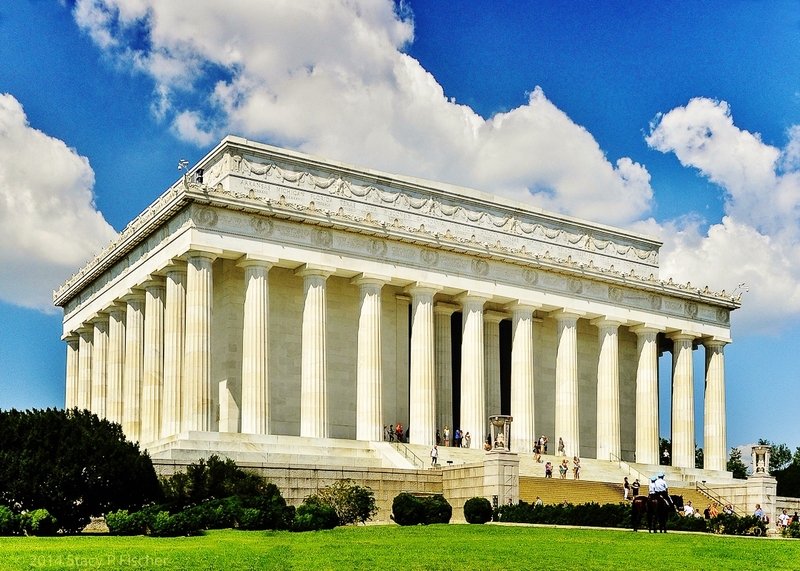 The Lincoln Memorial. 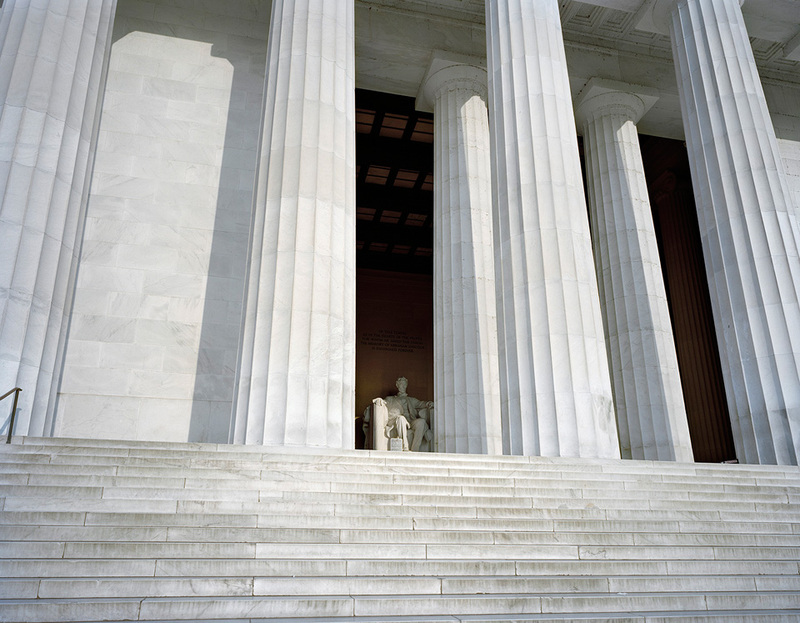 Despite its higher cost, and via a supremely competitive selection process, but with architect Henry Bacon’s staunch backing, Yule is chosen over three samples from Georgia (Cherokee, Southern and Amicalola), and one from Vermont (Dorset White), to supply the marble for the Lincoln Memorial. According to Bacon its “whiteness and delicate veining” earned it a place “above any white building marble in appearance that I have seen here or abroad”. Never-the-less there were more than a few grumbles from the other, more established east coast rivals, and consequently the four irate losing quarries were soon holding Yule marble’s proverbial feet to the fire. The US Army Engineer Office in charge of Public Grounds, and overseer of the entire Lincoln Memorial project, was brought in to determine Yule marble’s quality, durability, and even the quarry’s ability to quarry the huge amounts of material within the time prescribed. 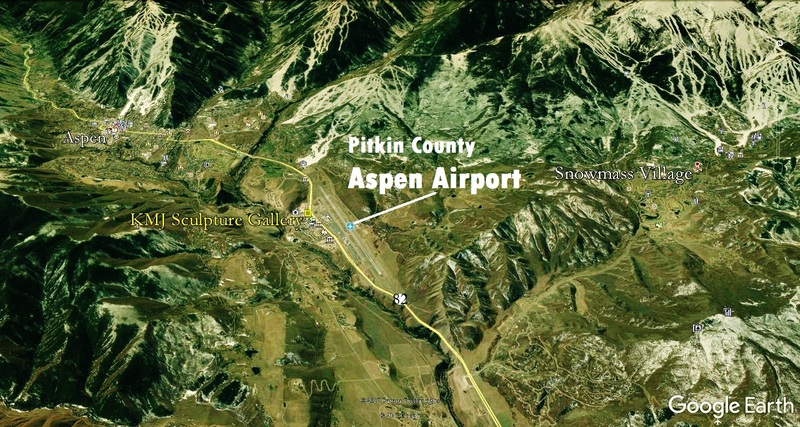 George Perkins Merrill was immediately dispatched to far off Colorado in order to asses the situation, and once more Colorado Yule Marble came through the ordeal with flying colors. After his visit Merrill was to declare that this strange, remote, and obscure little quarry did indeed meet any and all of the preordained requirements. Still, all was not well with Secretary of War Lindsey Garrison. Indeed so miffed was he that, even in the face of test after test, visits galore, he called for – nay demanded – that none other than the the United States Commission of Fine Arts get in upon the act, and soon the test weary samples were being scrutinized for one last time. Within five days he received his reply. The game was up. Colorado Yule Marble was supremely “fit pre-eminently for a structure of the character of the Lincoln Memorial”. 1914 March 14. 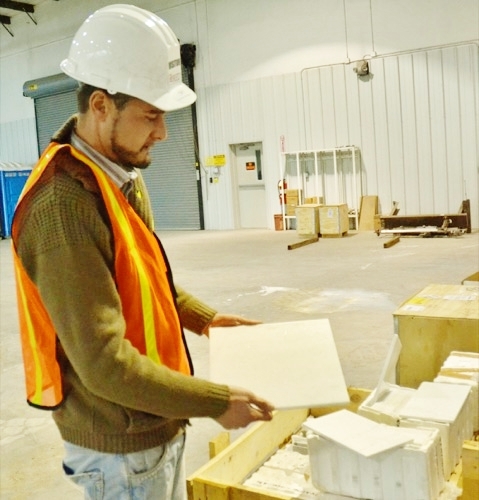 Colorado Yule Marble at last is awarded the contract to supply the Lincoln Memorial with its signature white marble. At $1,080,000 this was by far the largest, most expensive, and most demanding Yule marble project to date. With the first shipment of marble leaving Quarry 3 on May 25, 1914, and the final delivery made on June 16, 1916. Even with such high standards, resulting in heavy rejection rates, the company still managed to complete their order a full five months ahead of schedule. 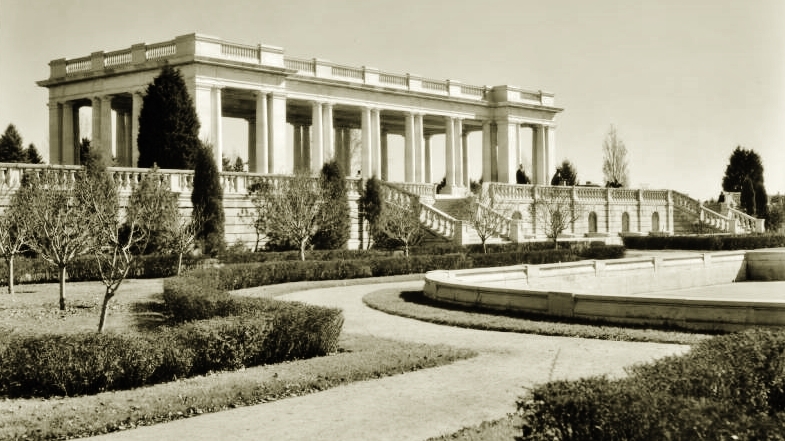 Company president J. F. Manning was to calculate that they had need to remove 80,000 square feet of marble in order to yield 15,000 square feet of acceptable finished product, each month. 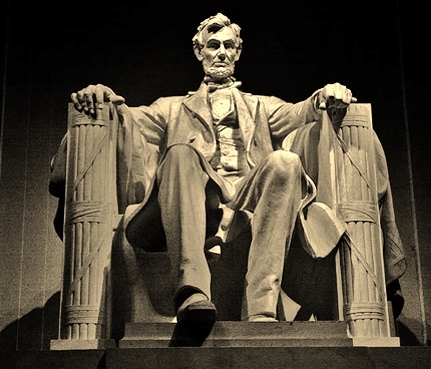 On occasion this figure would dip, and at times, according to Manning, it was not unusual for less than 10 percent of the marble quarried from the site to be shipped to the Lincoln Memorial site. Marble for the 38 columns, each comprising 11 drums and a top piece, with each of the 418 drums requiring 18 multiple man hours to fashion, were delivered to Shop 4. Marble for projects other than the columns were taken to Shop 3, where wire saws operated by 30 gangs of men cut nothing but Lincoln Memorial marble around the clock. 1917 BUST! 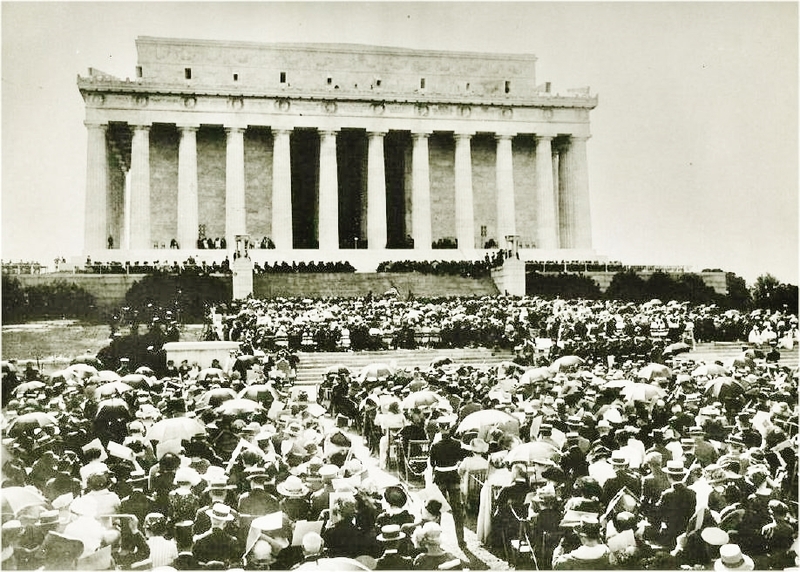 Barely one month after the final shipment of marble for the Lincoln Memorial the Colorado Yule Marble Company went into receivership in June, and ceased all operation on April 15, 1917. The swift, wholesale collapse was triggered by many factors, but the loss of skilled Italians, who returned to their native country to fight in World War One, along with a sudden and dramatic decline in demand for marble once America joined the fray, brought the company to its knees. However the final blow came about via the massive debt incurred in the startlingly ambitious ‘Integrated Operation’, as it was launched, back in 1905. 1918 The last bank, the last newspaper, and the last marble train, leave the Town of Marble, never to return. 1920 The government census reveals just 50 people to be living in the town of Marble. 1921 By April the quarry was at last out of bankruptcy, but a full year was to elapse before work was to resume, although much reduced, and on a far smaller scale than prior to the disastrous 1917 bust. 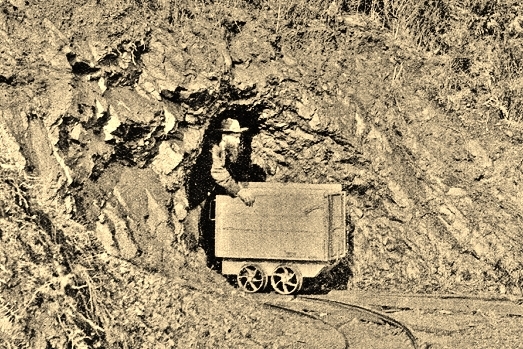 1922 Quarrying activities resume, with divided ownership. The rather confusingly named Carrara Company took possession of the quarry and tram line, whilst the Yule Marble of Colorado Company owned the railroad from Marble to Carbondale, along with the 1,400 foot long marble mill; the world’s largest of its kind. Although these two entirely separate companies operated as fully independent organizations, they effectively worked together as one single cohesive unit. 1924 So seamless was the Carrara Company/Yule Marble of Colorado Company collaboration that unofficial partnership was to merge on April 24, into the Consolidated Yule Marble Company. 1928 After several changes in the Consolidated Yule Marble Company’s ownership, the Vermont Marble Company took over the combined operation in November. Within one month the V.M.C. had formed Yule Colorado Company. The Y.C.C was to run the quarry, mill, tram and train operation for 13 years, until the outbreak of World War Two stepped in, and finished the quarry off, once again! Unlike the first time, with World War One, World War Two was to put the quarry out of business – and flooded, no less – for four long decades. 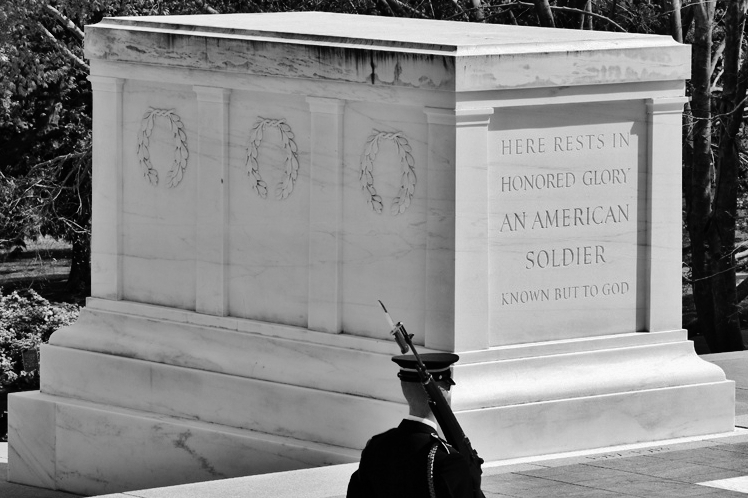 1930 The Vermont Marble Company’s Colorado Yule marble is selected for the Tomb of The Unknowns, “Tomb of the Unknown Warrior”, or “Tomb of the Unknown Soldier”, as I have always heard it described. 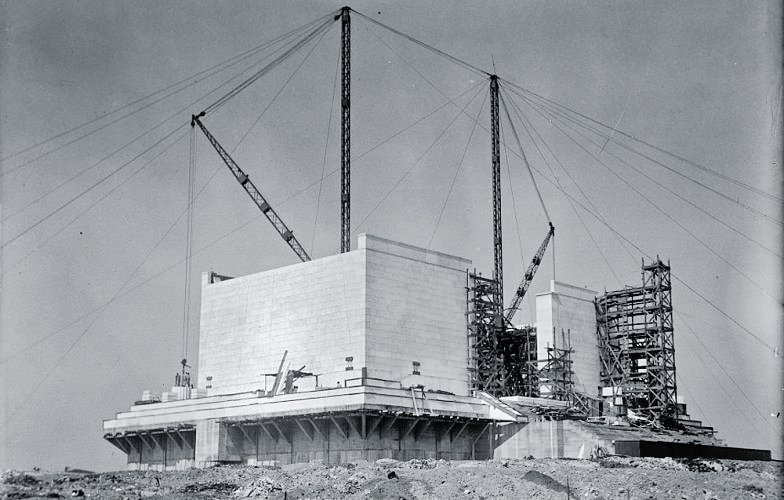 The gigantic project was quarried in 7 pieces of marble, comprising 4 layers; plinth, base, die, and cap. 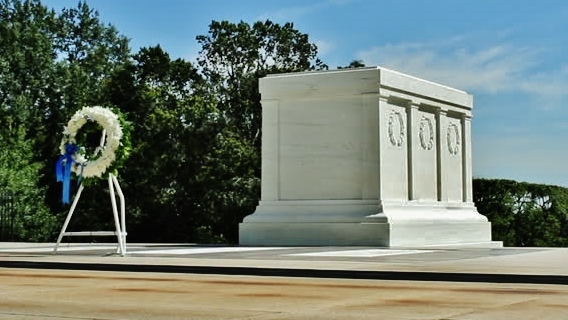 1931 A crew of 75 men worked full time for a whole year to successfully remove a 56 ton block for the Tomb of The Unknown’s massive die. Once relieved from the marble quarry face, the “world’s biggest sawn block of marble” took four days just to coax it down 3 miles to the mill. So unprecedentedly huge was this block that the Vermont Marble Company was forced to ship a special hoist in order to simply lift it out of the quarry and onto the rail car. Unfortunately however this most prestigious of commissions was to run into a myriad of setbacks from the very off, for in addition to the aforementioned problems sourcing such massive blocks of pure white marble, even bigger headaches were to plague the project once the installation process got under way. A large and entirely visible crack began to make its prominent way along and through the die. Disaster. Unfortunately the topic rages to this very day: to replace or repair the huge block, and last I heard, divisions regarding which course of action to take are as wide as ever. There is even a replacement piece standing on a rail car, donated freely by a private citizen, ready and waiting to be carved and installed at no charge to anyone, the block already exists. So, who know what will happen. 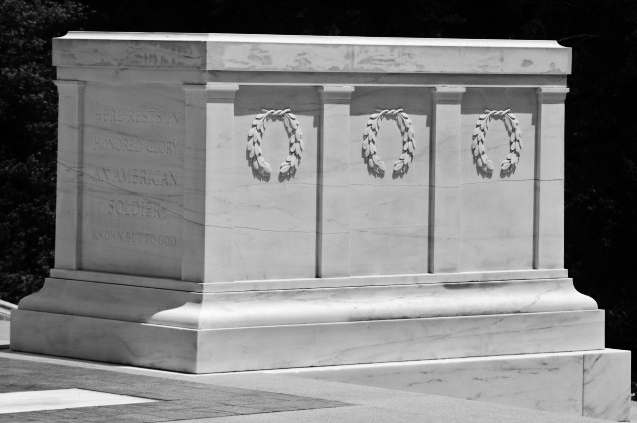 Reverberations surrounding the Tomb of the Unknown Soldier’s defect in regards to the crack set the quarry back in terms of reputation, but it was the brutal financial decline across the whole country, indeed the entire world, during the 1930s that proved most taxing to the quarry. Now with the 2nd mini boom now almost over it was the prolonged and tortuous Great Depression that reduced demand for premium grade marble so dramatically that the quarry was barely able to get by. 1941 The town of Marble, Colorado, suffers a huge flood, and as a consequence sees its population shrink to just 30 hardy souls. 1942 BUST again! 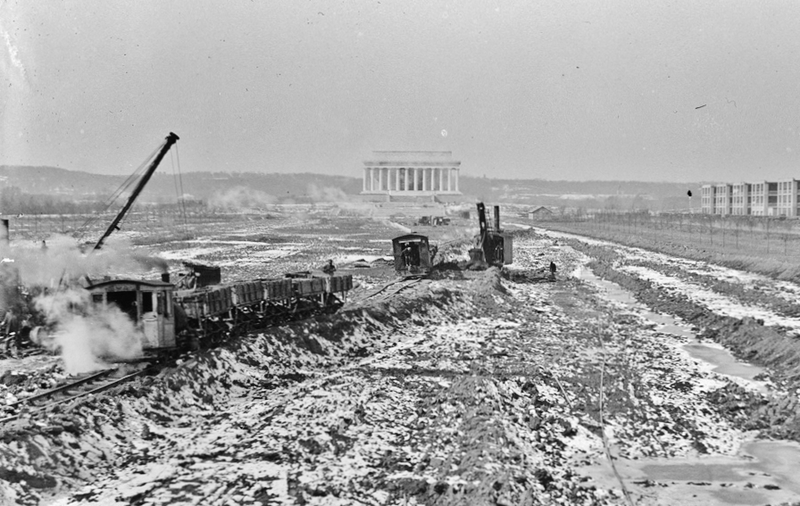 The United States enters World War Two as the world’s largest marble mill is dismantled, and the railroad tracks torn up. With most if not all of the largely Italian European workforce returning to the Old Country in order to take up arms, this was well and truly it – the end of Colorado Yule Marble’s early 20th Century ‘Golden Era’ BOOM. 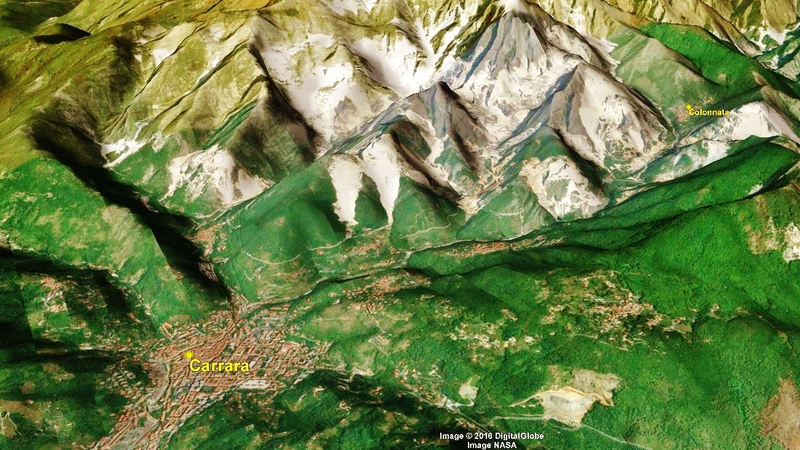 1945 World War Two is over, but the town of Marble endures another catastrophic flood, just 4 years after the last one. At one point the town’s population dipped to just one; Theresa Herman, the school teacher. The quarry meanwhile is destined to stand empty, save the millions of gallons of water trapped within the shuttered cloister of the former thriving quarry, for a little over 40 years. 1956 The town of Marble’s population shows 26 registered voters. 1986 Steps are taken to reopen the Yule marble quarry, for the third time. And in true Yule marble quarry tradition following in the footsteps of John C. Osgood and Channing F. Meek, this time around it came about via the efforts of Denver oilman Stacy Dunn. 1989 Disaster strikes Yule marble, yet again, as the quarries’ new owner, Stacy Dunn, follows a similar fate to that of Channing Meek, back in 1912. But whereas Meek died jumping to avoid a “runaway” train, Stacy Dunn was to die in what is described as an “automobile accident”. As with the original Colorado-Yule Marble Company eight decades prior, their fates were combined when the new C.Y.M.C. was declared bankrupt in 1997. 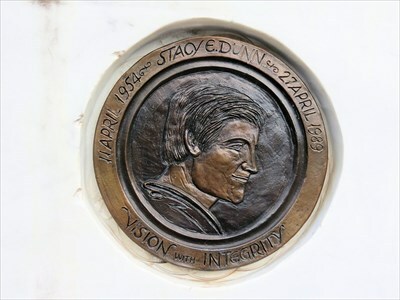 “Stacy Dunn, 35, of Evergreen, Colo., died Thursday, April 27, 1989, at Buena Vista, Colo., of injuries sustained in an automobile accident”. A curse, coincidence or what? 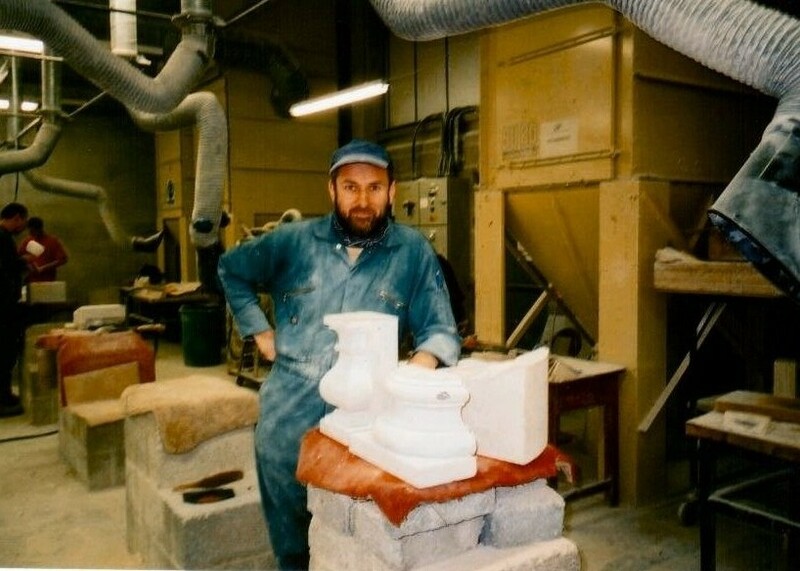 1997 The newly bankrupt Colorado Yule Marble Companies assets are acquired by Bath Stone of England – the first company to give me work immediately upon gaining the Banker Masonry NVQ Level 2 qualifications that I attained at the City of Bath College. An odd coincidence, I know. Bath Stone held possession of the quarry for two years, before selling it on to Rex Loseby of Sierra Minerals. 1999 Whatever the profit, motivation, or degree of success achieved by Bath Stone of England regarding keeping the operation at least a ‘going concern’, little seems to have materialized in terms of actual marble quarrying. Just two years on they are selling the quarry to Sierra Minerals, who are often these days cited as “reopening” the quarry. 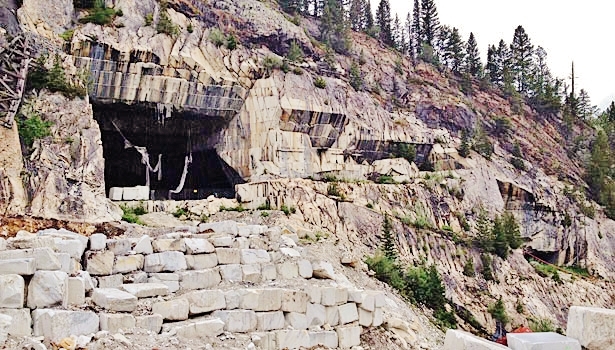 The company is now run by Rex Loesby, who had previously pulled out of his involvement with the earlier attempt by the Colorado Yule Marble Companies’ to revive the quarry. This time however he holds what I am sure he thought was a sustainable plan, for Loesby had acquired the contract to supply none other than the Veterans Administration with marble for the national cemetery headstones. He is to run the quarry for 5 years, until ownership passes on to Canadian company, Polycor. 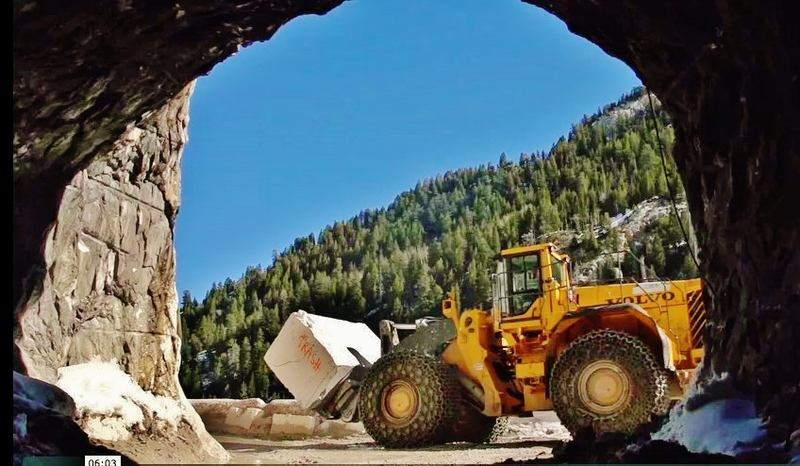 2004 Rex Loseby’s Sierra Minerals sells the quarry to Quebec based company Polycor, under the name Colorado Stone Quarries Incorporated, with much of the marble production exported to Italy. They run the operation until the crash of ’08, from whence the recession put the kibosh on any and all plans, dreams and schemes that Loseby had for his quarry. The quarry is once again shuttered to the world. 2008 World Wars, recessions, deadly ‘accidents’, and scandalous betrayals: the unfortunate Colorado has born the brunt of them all. Once again, the aging quarry suffers the indignity of closure. This time it was the greatest economic crisis since the Great Depression. Suffering the same turmoil, disappointment and despair that sideswiped many of us during this most desperate period, the company limped on until the grim facts of reality force operations to cease, by December 2009 Polycor had shuttered Yule marble, all Yule marble operations; the lights were out, and the jobs gone. 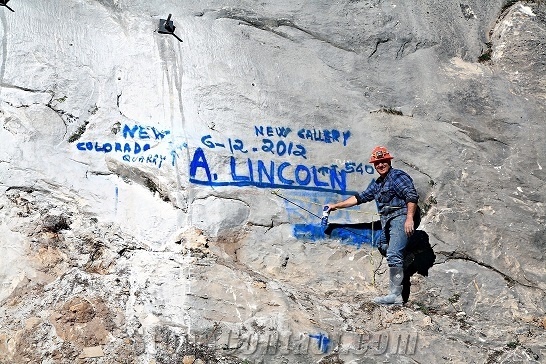 2010 Fortunately for everyone with an appreciation for Colorado’s state rock and America’s finest white marble, at the point when all seemed doom and gloom, up steps Mr. Enrico Luciani of Carrara, Italy., who takes possession of the quarry in October. Polycor however retained the purchasing rights to the North American market, while the industrious Mr. Luciani I’m sure will make use of his extensive contacts in Carrara, Italy, and the rest of Europe, to ensure that such exquisite, and now exquisitely quarried, top quality marble will reach the market that it truly deserves. 2011 Under the seasoned, experienced, and watchful eye of new owner Enrico Luciani, on behalf of the RED Graniti partnership, Colorado Yule Marble is not only reopened for business, but relaunched as a concept, and tied to quarrying concepts forged and developed over many centuries in and around his home town of Carrara, Italy. 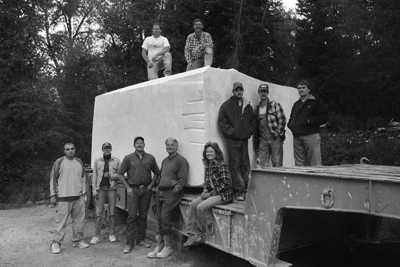 At long last, and for the first time in over 125 years of marble quarrying endeavor, a wealth of experience, along with direct line to the billions of dollars garnered by the international marble industry, places Colorado Yule Marble firmly within the grasp of architects and designers the world around. And so it was that in January of 2011 Mr. Luciani restarts the marble quarrying operations, just three months after his taking possession. However, as we shall see, all similarities between previous changes in Yule marble quarry ownership, management, methods and practices to this point bear little resemblance to the arrival of Mr. Enrico Luciani of Carrara, a man whom (if I am not greatly mistaken) retains all the necessary requirements to follow, and build upon, the incredible efforts of John C. Osgood and Channing Meek, in at last making Colorado Yule Marble a familiar name in interior design, both commercial and residential, and of course sculpture the world around. 2011 Coincidence dictates that at the moment Mr. Enrico Luciani of Carrara, Italy, was taking the reigns at the Yule marble quarry, I, Martin Cooney of Preston, England, was busy at work, just 23 miles distant (as the eagle flies) splitting and carving a well-seasoned ten ton slab of the Yule marble, at some point drilled, wire cut, then ekeed out of the quarry by his predecessors many, many years prior. 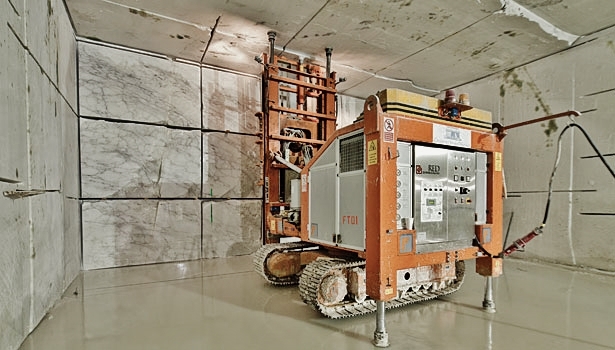 2012 Under Enrico Luciani’s careful management work begins to drive a new portal into the seam of unique white marble at the newly formed Colorado Stone Quarries Incorporated quarry. In an interview with the Aspen Times Mr. Luciani’s fervent confidence, assurance, optimism and excitement, is on full display, his boundless enthusiasm proving most infectious. This is “the first new portal into the seam in more than 100 years.” boasts the quarry’s administrative manager, Kimberly Perrin, who goes on to inform the paper that “this will bring us 65 to 100 years of production”. “This is the future of the quarry”, reveals Enrico Locati Luciani, indicating the new Fantini cutting machine that he had recently purchased at a cost of $700,000. “We know the material is, ah, very nice” he said. “We love artists, we will always sell to artists” announces quarry admin manager Kimberly Perrin, even though less than one percent of all finished marble is bought by sculptors. “I have lots of ideas for this quarry” confides Mr. Luciani. One of his ideas is to create a fabrication and finishing plant as close to the quarry as possible, which in turn will greatly reduce current transportation costs, whereby the huge quarry blocks are shipped, at great expense, to be worked in Italian marble shops. Furthermore a handsome, efficient and prominent marble operation could prove to be an interesting and attractive tourist center, and thereby greatly assist in raising the profile of our Colorado State Rock, the amazing Colorado Yule Marble. 2016 Considering the tumultuous history of Colorado Yule Marble – the many bankruptcies, lost fortunes and even, in the case of Channing Meek and Stacy E, Dunn, lost lives – to anyone with even scant knowledge of the staggering logistics of quarrying pristine blocks of marble at 9,300 feet, the sudden and miraculous recent turn of events would have seemed something of a miracle. 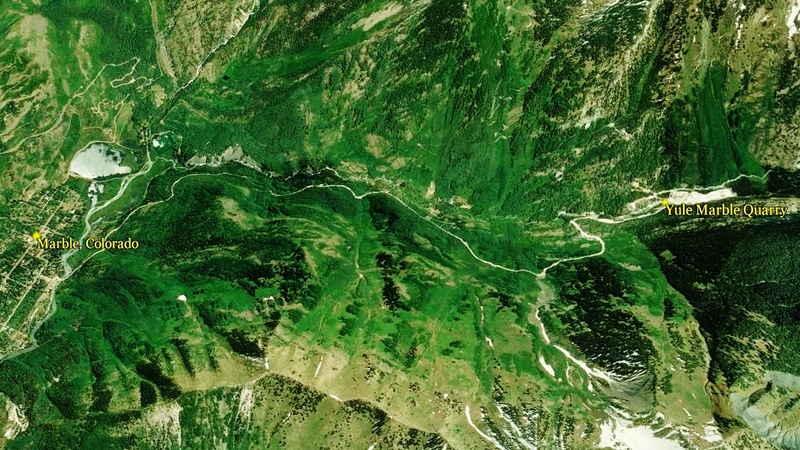 For not just the hostile nature of the Rocky Mountain terrain has been working against the various companies and regimes tasked with extracting the marble, but given the extreme distance from practically all of the major US markets, combined with the inability for even successful projects such as the Lincoln Memorial to recover the astronomical infrastructure costs, and it is perhaps no surprise that, although a major factor in the quarry’s endless struggle for survival, it wasn’t so much a lack of financial investment that plagued each enterprise, but a chronic lack of marble quarrying experience. Now however I think it safe to say that all lovers of Colorado Yule Marble can at last breathe a sigh of relief. 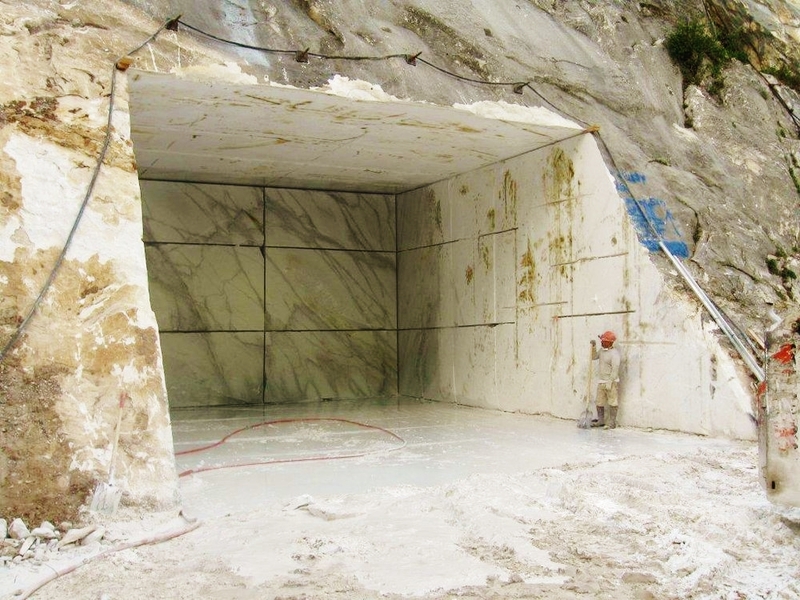 Not only has the Italian-owned Red Graniti poured vast amounts of capital into the project, best of all, these are the real experts, as evidenced by an impressive resume of Carrara marble quarrying experience garnered by the quarry’s expert management and staff. “The company philosophy pursues, from the beginning of the activity, the policy of controlling the sources of production in the world. “Inside the Lincoln Gallery, crews work on two levels. 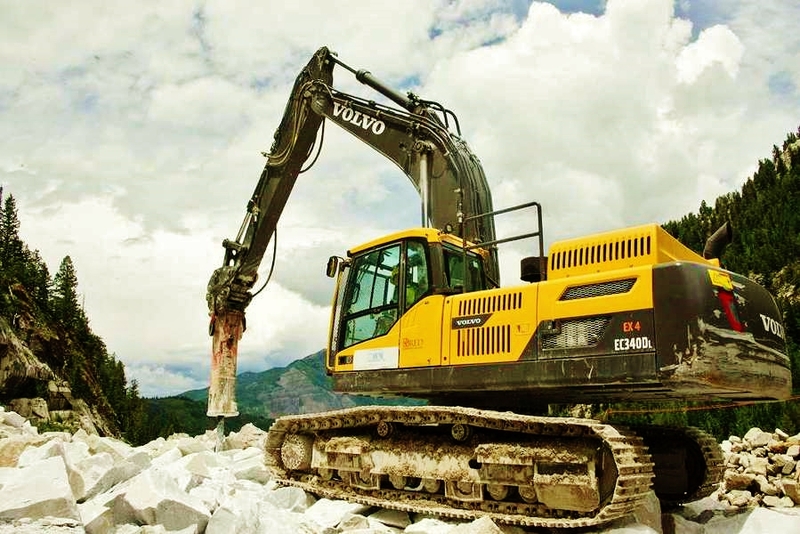 On the lower level, after the initial cuts are made, a Volvo EC340D or EC480D excavator slides deftly into place and uses its bucket teeth to loosen the stones, gently placing them onto the gallery floor for the L350F wheel loader to load out. Once the large blocks are removed, a Volvo L90E wheel loader with pallet forks repositions the saw for the next round of cuts. On the second level, the marble blocks are skillfully sliced from the rock face and extracted using the block forks on the L350F. The two Volvo L350F wheel loaders are the mine’s workhorses, clocking up to 10 hours a day. 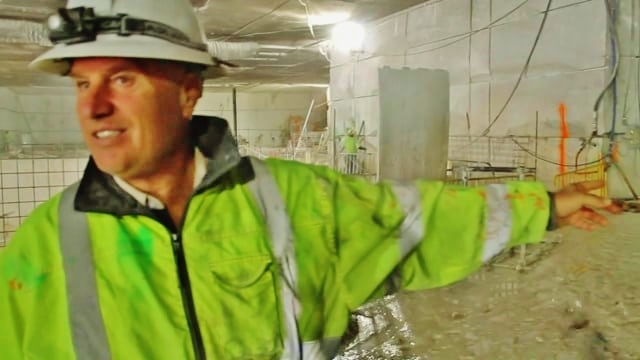 “I am from Italy, my home town is Carrara, which is considered the capitol in the world for the excavation of white marble, and my family has been in this business for generations. What to say? It is amazing. “Every day when you pull one block, you are there like everything is new. Because you know what you have in front, in your face, but you never know what is at the back. It’s a challenge, every day. Every day it is a challenge. The challenge here is first to keep open the quarry all year long, but we ‘not lost a single day of work. We are able to work five days a week, all year long, of course! All the equipment we have here for quarrying the block, everything is from Italy. Not because we are Italy, but because I believe in the world we are the best in the business of the marble. Colorado Stone Quarries estimates that it has 1.5 million cubic meters of marble remaining, enough to last them for another hundred years. At the time of writing 90 percent of extracted marble is shipped to Italy, while 10 percent stays in the USA. 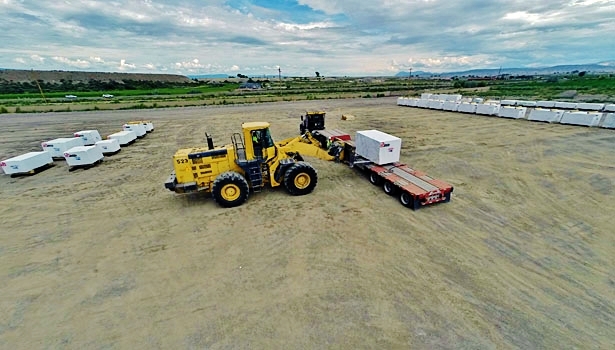 However, word has it that before the year is out Red Graniti plan to open a brand new fabrication plant in or near the town of Delta, Colorado, just down the road from the quarry. As yet I have to hear, see or read of the specifics, but when I do I shall relay the details pronto.